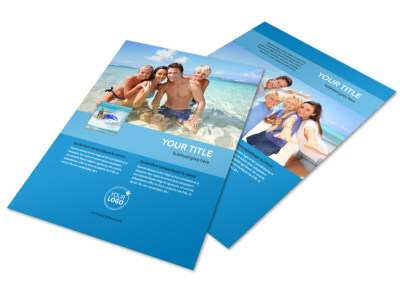 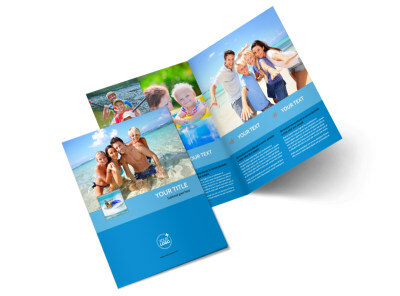 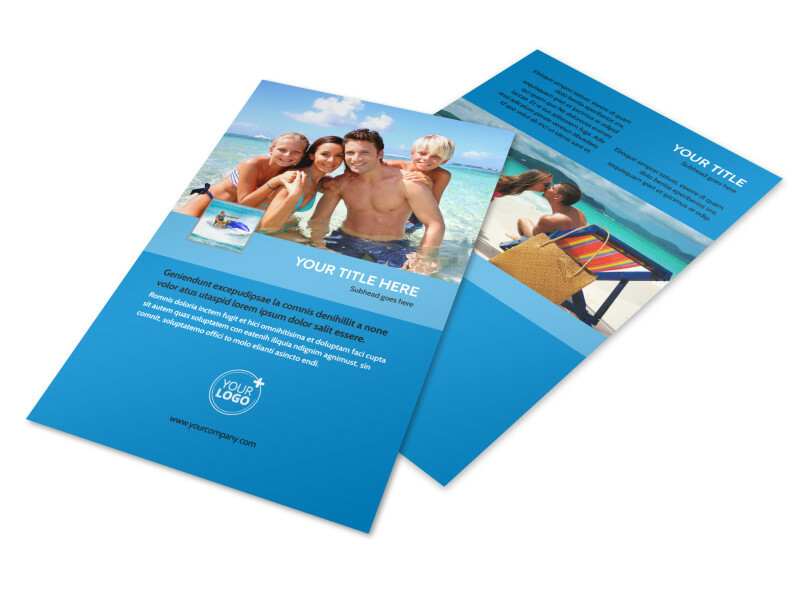 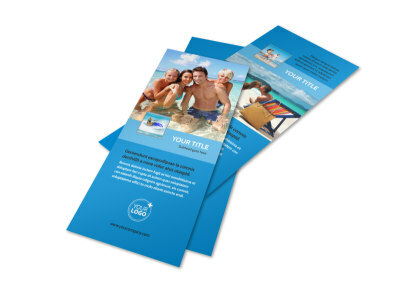 Customize our Family Beach Resort Flyer Template and more! 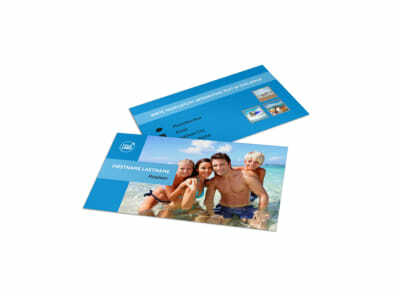 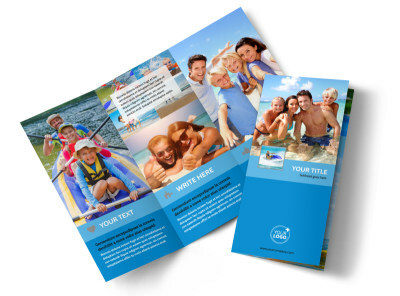 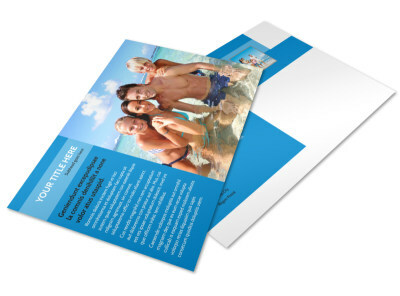 Blast vacationers with ideas on how to spend their upcoming time away with family beach resort flyers. 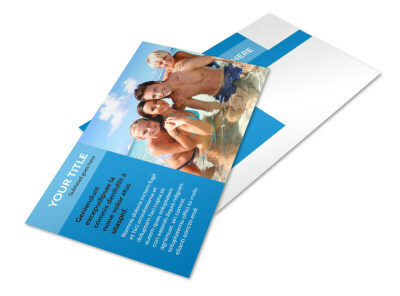 Customize your flyers from the ground up with details about your properties in custom text and photos of any amenities, local nightlife, and more. 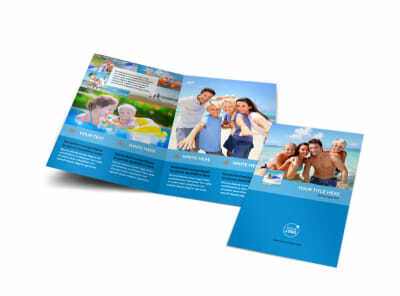 Take advantage of our premium printing services to put a professional finish on your flyers, or print them yourself to get them in patrons' hands faster.